Wouldn't eat whale or snake, endangered species are a no, no, to me. I am sure Tom would disagree. Never tried that, but I do like whale and seal! Tom has posted on this thread, some the most abominable food stuffs I have ever seen. Which, the chocolate covered bacon, or the shrimp with chocolate sauce? 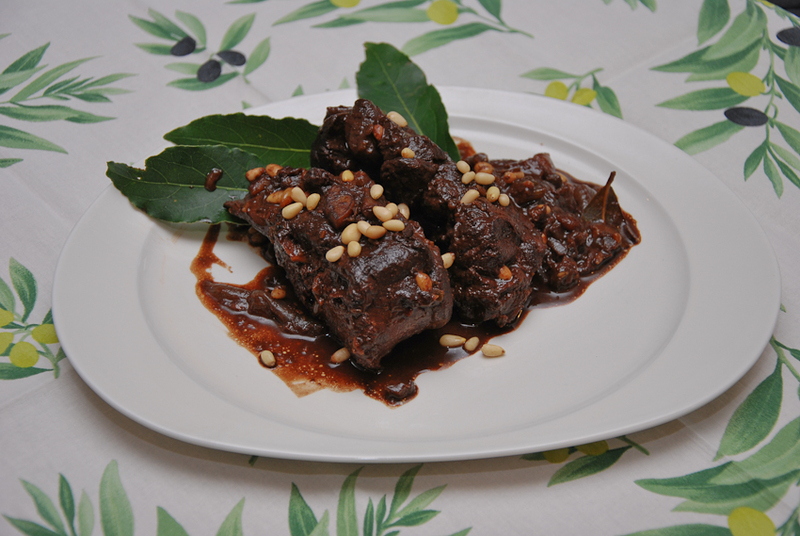 Mole, one variant of the Mexican sauce is made with chocolate, dried poblano (ancho) peppers and an interesting mix of herbs, spices, fruit, nuts. Excellent on poultry, for example. Chocolate sauces on savory things are not so unusual. The ironic thing is that these are the loons that are endlessly yammering on about left/liberal people getting offended by everything. The Daily Hate, by any chance? Yep. Taken from Mail Online but chances are the Express would be just as bad. It's not the Mail - it's its readers who provide the comments. I'm not condoning the Mail editorial but if you think the readers' comments in the Mail are shocking, don't read the Swiss readers' comments in Twenty minutes here - they're just as bad, if not worse. That will be the white port then for the Weißwurst? I just luv halal food - my friends cook so yummy, nothing better than an invite for dinner at their house. Yup some snakes are definitely endangered. I was in Vietnam and there were stalls with live snakes that were hung by the tail and when a customer wanted one they would choose the variety of snake and have the head removed and warm blood squeezed into a glass, sometimes with a shot of venom in whisky, all a bit bizarre to me. Its a bit backwards to eat whale, considering everything we have come to learn about them and their intelligence, social behaviour etc. I quite disagree with the stance Japan is taking in leaving the IWC just to do its own bit of rebelling against an international agreement. Worlds going a bit doolaa at the moment. Both of those looked feckin dreadful. That didn't look quite as bad, game with chocolate in the sauces does work as does a bit of chocolate in a Chili Con Carne or a Mole. Pigs are intelligent, but we eat them (sometimes dipped in chocolate)! ...why are we discussing this again? If a "law" is dictating what you can eat, then you really aren't "free" to eat whatever you want ...or am I missing something? Apples and oranges. Cannibalism laws are not based on religion, but more to protect people and keep society civil. I think most people can recognize a difference between eating another persons leg versus a non-kosher pickle or a ham sandwich because a holy text told them "no"
Perfectly legal in Germany until recently! Is eating other people "halal"? 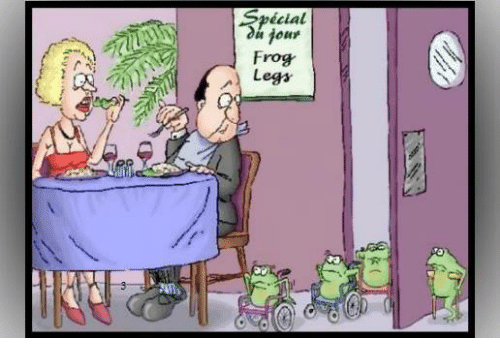 Once you go there .... froglegs come to mind. No, it isn't (one would have thought). Mufti in Saudi Arabia has just declared that a Muslim can cannibalise his wife. You heard correctly: Abdul Aziz bin Abdullah, a man of religious power in Saudi Arabia, believes it is halal to eat your wife. Clarifying his stance, Abdul Aziz bin Abdullah explains that literally eating your wife is permitted only if you're extremely hungry. So basically, with Islam* it's make it up as you go along if you want. * Other major religions are available where you'll also find lots of rule variations/interpretations based on your culture or perversions.